Thank you to tsoi hawk and rimonim for including me in the Liebster Awards. This award uses a chain-mail technique in order to connect more writers together and create an opportunity to get to know each other a little better. Many of us write continuously, sometimes constantly about one or two topics, and we never really get a sense of who the author is! I was stalling for a while about this post, because while I love the spirit of this award, I do not love the pressure and obligation to follow the rules and not break the chain! I am a notorious chain breaker. You wanted to send me a recipe/list of books/favorite quote/etc. and a list of 6 more people to forward my own recipe/books/quotes/etc. on to? Bad choice; those people never saw anything about it! But I figured, why not try this one, even if I don’t follow everything we’re supposed to do. So, here’s a modified version, I guess. If I linked to your blog, and you wanna follow all the rules, click here for more info about the Liebster Award. If you don’t wanna do it at all, that’s OK too. – What’s on my iPod right now: albums by Bauhaus, Daft Punk, DJ Shadow, Maps, RJD2, Skinny Puppy, Sleigh Bells, The Roots, Wolf Parade. This is slightly more indicative of my musical tastes. I listen to my iPod every single work-day, for probably 4-6 hours. – I’m going to hear back in a couple of weeks whether my proposal for a radio show will be accepted. I’ll most likely be a radio DJ starting this fall! – One of my favorite pastimes is brewing kombucha. It is a delicious, healthy alternative to soda. It is awesome! You can buy it in stores, but it is $$$. You can make it at home for super super cheap. It’s basically just black tea (or any tea, but black is best) and processed, white sugar. 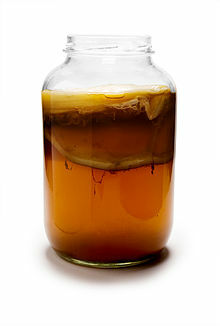 Plus the weird flesh-colored disk called a Symbiotic Colony Of Bacteria and Yeast (SCOBY). You have to acquire one of those. 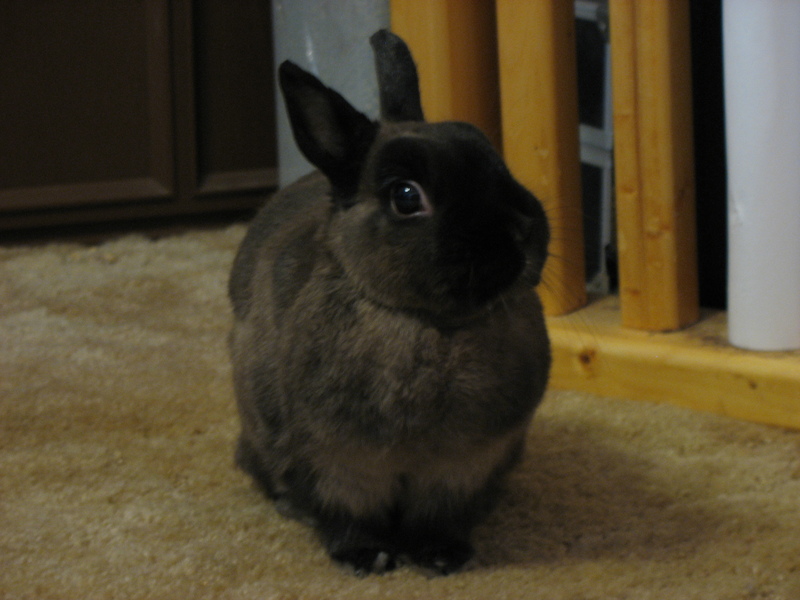 – We have a pet dwarf rabbit named Grey Bunny. She is 12 years old! That’s about all I got for right now.